I am sorry the blog has been a little quiet today. It has been anything but quiet here at my house. If you follow the blog, you may have noticed my tribute this weekend to the fire fighters and their equipment, which I did because I have been watching them fight fires all over my state and neighboring states. Well today a fire started very close to my home, and has been raging since 2 pm this afternoon. Fortunately the winds drove it up into the mountains, and it is blowing away from us, so it would take a lot to get to our house. But it has reinforced our need to be prepared because we live on a hillside, and that hillside is bone-dry. They have banned fireworks here (thankfully), but there are a lot of other things that can cause a fire. So we spent the afternoon collecting all of our most irreplaceable possessions and hauling them off to my cousin’s house. Even my car collection is headed over there to be safe. But here I am and I want to get a post up. So why not a MotD post featuring one of my favorites to cheer me up? I really hope Hot Wheels has some cool things planned for its Skyline lineup. The R32 has been around a long time and been done in several different liveries, but the real Skyline stars in the lineup are the two classic Skylines released last year, as well as this fantastic 2-year-old R34. Sadly we haven’t seen any subsequent versions. I am sure we will, and I hope it is sooner rather than later. 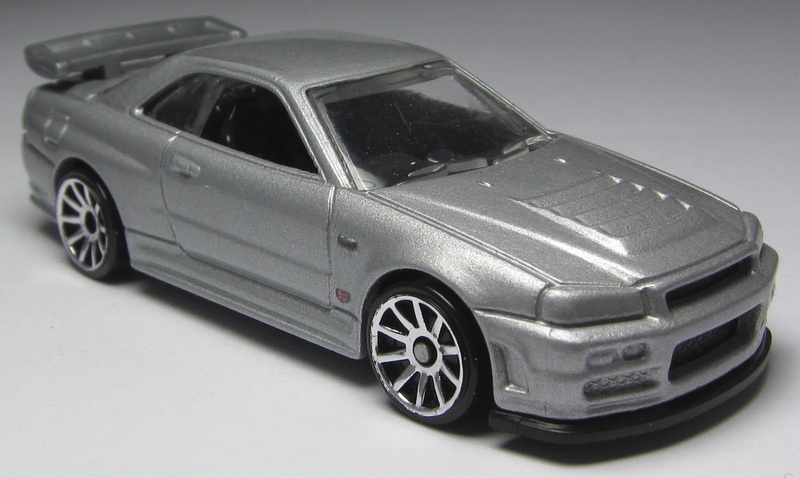 These latest Skylines are some of my favorite HW models, and this R34 is right up there. One of the best castings from the HW stable, with the blue version sitting on my desk at work – I would like to see the R32 and R33 as a stock version to complement the R34.TLV do some wonderful editions in 1/64 and I am very proud to have these within the Garage.